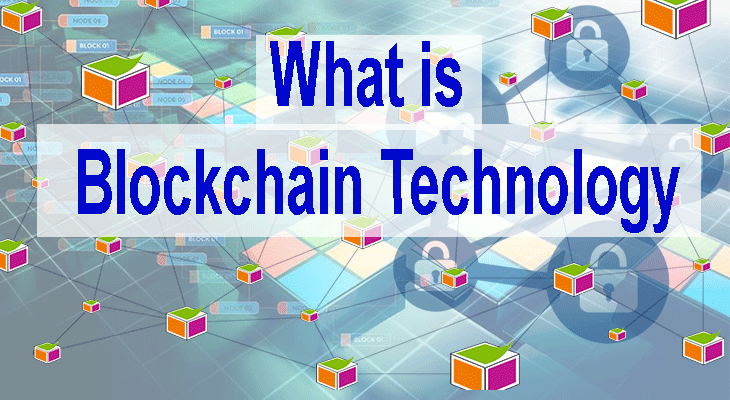 Maybe you are also looking for the answer to the question What is blockchain technology and what does the future of blockchain technology hold. This article will help you in getting the answer to most of your questions regarding blockchain technology. If you are looking for investment in cryptocurrency right now, read this article Best Cryptocurrency Under a Penny to invest in 2018. Before getting the answer to ‘What is blockchain technology’, we need to understand a short history of the World Wide Web. The worldwide web starts its journey in 1989. When the British Scientist Tim Berners Lee invented the World Wide Web. The network was originally conceived and developed to meet the need for automatic information sharing between scientists at universities and research institutes around the world. As the new technology was making its way to the world, there was a need for a more powerful world Wide Web. The web 1.0 contains simple static pages and the user interaction was not that so good. Then the researches result in another generation for internet know as web 2.0. The web 2.0 contains some dynamic web pages that help in increasing the user interaction with the application. We witnessed the giant platform during web 2.0. E-commerce platform like Amazon, eBay, Ali express, and many others start their journey during web 2.0. Also, social networks like Twitter, Facebook, Youtube revolutionized the way we interact with the internet. Despite this revolution in the technology of the web, we still need some more powerful and secure web. While using the internet we are still at a risk of being hacked. We need the next generation of the web to secure our assets and data from hackers. This is the time to implement the blockchain technology to the businesses around the world. And what if I tell you the giant of the web are already working on it. Don’t worry, you will no more be wondering after reading this article till the end. The blockchain is introducing the world with web 3.0 where the users and business will interact in a more efficient and secure way. The blockchain is a database of the distributed ledger that store the data more securely. The data is stored in different blocks using the cryptographic technique. Data can be of any type i-e images, PDF files, text etc. Hash is the transformed form of a string of characters into a usually shorter fixed-length value or key that represents the original string. The hash of the data will also be available within the block. The hash of the previous block is also a part of the block as it helps in security measures. Whenever a miner approves the transaction he has to verify the block by comparing it with other blocks available in the chain. The miner will compare the hash values of blocks and the system will approve the transaction. Whenever a new transaction is requested, the block is generated and after passing through the verification, the block joins the other blocks. Thus the different blocks join to make a blockchain. Let’s try to understand what is blockchain technology with a simple real-life example. There are four friends living in a hostel. They used to go for dinner every night and one of them pay the entire bill of the dinner. He pays the bill throughout the week and writes down all the expenses in a register. But there is an issue. The issue of trust. Maybe he writes it down incorrectly by mistake. They have another solution to solve the issue. All they need is to buy 4 copies and give to 1 copy to everyone. Whenever they go for the dinner, everyone is required to write down the expenses in his own copy. Yes, it is a time-consuming process but in the end, you will get an efficient storage of data and everyone will be satisfied. The blockchain technology works in a similar way. The data is stored in blocks and the blocks are distributed all over the network. There is no central authority controlling the data. All the data is stored on different computers. Now, you will ask! Where are the computers that will store the data of blockchain? The answer is really simple! Your computer will save the data and maybe some files will be available on the computer available in your office. The people will be making the network and no central authorities will own the data. There is a huge blockchain impact on banks. Let’s clarify by comparing the blockchain with a bank. The banks have a central database of all the customers. The central ledger contains all the necessary information of customer including balance, transaction, and account number etc. The bank keeps on updating the information whenever the customer makes a withdraw or deposit. The bank has full control over your data as the data is stored on the server of the bank. Hackers can access the server and they can steal the user information. On the other hand, distributed ledgers are much secure. The data is stored on a peer to peer network instead of central authority, many computers have copies of a distributed ledger. Every node stores a copy of the data. The computers store the data from the start of the ledger until now. For every transaction, different nodes verify it, and then all nodes update their records so that all the data stays in proper order and up to date. Next, we will discuss why we need blockchain technology? Well, the internet we are using is safe enough and it is providing us the reliability and efficiency. Still, we need a more efficient and secure system? Yes, we need a more efficient, reliable and secure system. When we talk about the transparency and security of data, blockchain is the key. As I have stated at the start that we need a more scalable and robust system to meet the user and business requirements. The blockchain is gonna solve the issues that we already have with our current network. The existing system is centralized and blockchain is based on decentralized technology. Decentralized means no central authority will own the data. The data will be available on different nodes across the network. The drawbacks in the centralized system are all the data control by the central authority. For example, Facebook is based on a centralized system and the company controls the data of the users and they can use it for a negative purpose. As the central authority has a control over the data, they can manipulate the data or hackers can access the central server. But the blockchain is totally a new network. The hacker has to steal the data from each node available on the network to completely hack the system. But It is nearly impossible to hack the systems based on blockchain technology. The future of blockchain technology is really bright as the giants of the internet are working to develop their own version of the blockchain. Blockchain was introduced to the world in 1991. But people were not able to find the potential in this newly born technology. Later on a mysterious person “Satoshi Nakamoto” release the white paper of bitcoin. Bitcoin is just a single example of blockchain technology. There are many other examples of the blockchain. Bitcoin is also known as the first generation of the blockchain. The bitcoin is using the PoW(Proof of Work) technology. PoW is also known as mining. The individual nodes on the network involved in mining to process bitcoin transactions. The miner also mines the new bitcoin using Super Computers and ASIC miners. There are some issues with bitcoin blockchain. The scalability was the main issue. The bitcoin can handle 7 transactions per second. But on the other hand credit card can make 24000 transactions per second. Another main issue with bitcoin is the high mining cost. Ethereum enters the market in 2013 with the aim to solve the issue with scalability but failed to meet the user requirements. Ethereum platform is providing the opportunity to build decentralized applications. Ethereum is also known as the second generation of blockchain technology and the Ethereum blockchain is using POS(Proof of Stack) instead of POW(Proof of Work) technology. The Ethereum can make a transaction speed of almost 15/TPS. This is also a very low transaction speed to meet the requirements of the users. Now, its time for the 3rd generation blockchain. Many companies are struggling to introduce a more scalable and secure blockchain. Cardano is one of the companies that are working to introduce the world with the 3rd generation of the blockchain. We will witness some more generations of blockchain technology in near future. But at the end blockchain is going to take over the world. The adoption of blockchain is rapidly increasing all over the world. The below chart will help you understand how fast is blockchain technology evolving around the world. The blockchain technology is still in its early phase. It is just a start and the more is yet to come. As the internet was a network of static pages in 1990, the blockchain is also in its early phase and the world will witness projects like Facebook, Amazon, Twitter, Google etc based on the blockchain technology in near future. I hope this article will help you in letting you know what is blockchain technology and the future of blockchain technology. Share the article with your friends and family around you to let them know about blockchain technology and future of blockchain technology.